On November 16, 1885, a lone figure stood silently on the gallows waiting to meet his destiny. His name was Louis David Riel and he was my first cousin 4 times removed. Below, a clip from Ancestry linking my father to the Lagimodiere family from whom Riel`s mother, Julie sprang. Julie`s brother Romain was my 3rd great-grandfather. You can see in the chart the names that were well-known in the Red River Settlement, Lagimodiere, Diagneault, Cyr, Thibault. Other names in the family were Jennie Cameron, Mary Inkster, Catherine Martineau and of course, Marie Anne Gaboury. Further back in the family one finds the more obscure appellations, Marie…..(Lesperance), Charlotte….., Josette…. (Indienne) and Suzanne Sauteuse. On the 1901 Census of Canada, my great-grandfather, William Daigneault declared himself and his family as being French Metis (M.F.) and Red in skin colour. The settlement was established at the confluence of the northern Red and Assiniboine rivers which is in modern-day Winnipeg, Manitoba. It had been a prominent trading place for the aboriginal people of the area, the Cree and Ojibwa among them. Before that prehistoric people had camped and traded there. These two rivers were part of a canoe route that joined with the Mississippi and Missouri rivers on the southern trade route. in 1783, the first trading post was built by Pierre Gualtier de la Verendrye. He named it Forte Rouge or Red River. Many of the French trappers who traded there married First Nations women which eventually led to the creation of a new culture, the Metis. Initially, there was a society dominated by the First Nations people of the area with whom the French were on amicable terms . For the main part, the French traders and their offspring blended with the First Nations culture . The buffalo hunt remained one of the main features of life among the people. Sedentary farming did not come naturally to them. It didn’t even make sense. The winters were long and freezing, in the spring the Red River would storm its banks and flood the area. The summers were hot and humid and the tall prairie grasses provided ideal forage for the hundreds of buffalo which roamed freely. The land that had been owned by the Hudson’s Bay Company as part of its vast empire was called Rupert’s Land and it had been given complete authority over it. Now, the Company’s fortunes were waning. It proved to be a fortunate time for a wealthy and very idealistic young nobleman, Thomas Douglas, 5th Earl of Selkirk. When his brother died, he inherited a great fortune. He also had a compassionate heart and hoped to transplant hundreds of Scots who were being driven off their land during the Highland Clearances. Selkirk realized that to gain enough land he would have to become a major shareholder in the Hudson’s Bay Company. He bought as much stock as possible and then asked for a grant of 116,000 square miles which covered parts of present day Manitoba, North Dakota and Minnesota. In May, 1811, the deed was granted willingly, they knew he was likely to lose money. The first colonists arrived from the Hebrides in Scotland in the summer of 1811. At their head was Miles Macdonell also a Scot and appointed governor of the colony. They had to spend the winter at York Factory before they could come. In August 1812, they arrived at the forks of the Red and Assiniboine Rivers and settled at Point Douglas. After they took formal possession of the land, they continued on to Fort Daer on the Pembina River in North Dakota to find food. 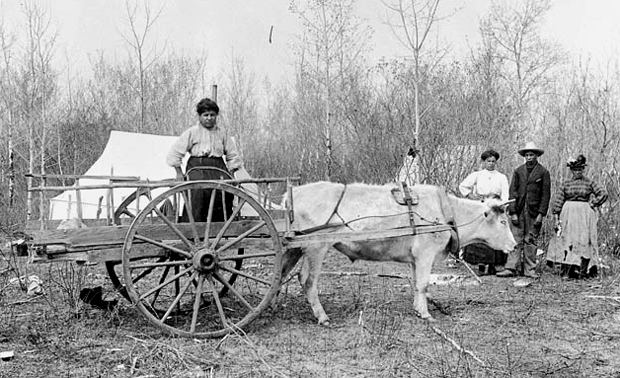 The Metis people there supplied them with fish and pemmican made from the buffalo they hunted. In 1813 more colonists arrived and they all sowed crops together on long strip plots running back from the river. The sowing was too late however and the crops failed. The men who worked for the HBC resented the extra trouble of having to help the new settlers and the stricter rules Selkirk was enforcing on them. They could not easily make private deals for extra money now. At Fort York, some of Macdonell’s men had been persuaded against him and he found himself with no supplies when they finally got to Point Douglas. Selkirk had no notion of how serious the rivalry was between the HBC and the North West Company. The Northwest Company was composed largely of Metis and French from Montreal. The settlement lay across the path to the Athabasca country where the Nor’Westers gained most of their wealth. The King’s charter had granted the HBC only the lands that drained into the Hudson Bay. The Athabasca drained into the Arctic but to get to it the Nor’Westers would have to cross what was becoming British territory. They had been able to do this until now because there weren’t enough men to stop them. The new settlement was composed of British people, faithful to Selkirk who could help close the gates to the Athabasca. The fur trade war intensified. The map shows the canoe routes up to Athabasca country where the highest quality furs were found (colder weather made for thicker furs). From Fort Garry and up through Lake Manitoba to Fort Cumberland and then to Ile a La Crosse and the Athabasca River, the source of which lies in Jasper National Park, Alberta. At Ile a La Crosse we find mention of Jean Baptiste Beauchamp who travelled with Peter Skene Ogden on the Snake River Expeditons which I have written about here. Richard Daigneault is listed as an employee of the HBC in 1804 here. Jean Baptiste and Vincent Daigneault (my grandmother’s maiden name) are listed as HBC employees for 1855-6 here. The NWC tried preventing the colonists from even arriving at the settlement by complaining to officials in Britain but did not accomplish that. Then they tried to stop the Metis at Fort Pembina from selling supplies to the colonists. Back at Fort Garry, they made every attempt to get the them to desert. They found themselves caught in the trade war. Macdonell decided to act by issuing the “Pemmican Proclamation” in January 8th, 1814. For one year no supplies were to be taken out the colony without permission. 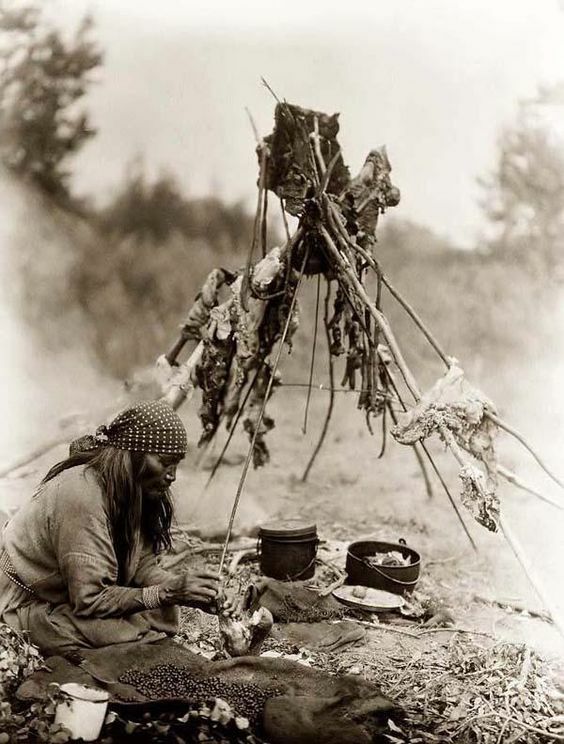 He began to seize pemmican from the Nor’Westers and supervised provisioning of all canoes traveling between Lake Superior and the Athabasca country. In June of that year the Montreal partners of the NWC arrived and decided that the colony must be destroyed entirely. The settlers were promised free passage and provisions to resettle in Upper Canada (Ontario) or be driven off. Commander of Fort Gibraltar, Duncan Cameron, tried to win the settlers over with parties and talk of coming on side with the NWC . He even spoke Gaelic to them. When that failed he tried to raise insurrection among the Metis by driving home the fact that they were forbidden to sell pemmican and that their land was being stolen . The Metis, reverting to the ways of their mothers, intimidated the settlers by killing horses, taking guns and plundering houses. They were setting the stage for what became known as the “Pemmican Wars”. Finally, in June, Macdonell decided it was in the settlers best interests that they give up the fight. It was too late. He and 134 deserting settlers were taken by Duncan Cameron to Fort William where he was to be charged with robbing the company. He did not get charged but the settlers proceeded to Upper Canada to settle. Likewise, the settlers who stayed behind were driven out and fled to Norway House on Lake Winnipeg. While they were there, a brigade of HBC officials was making its way from Montreal to the settlement on the Red River. When they arrived and heard what was happening, they continued to Norway House to bring the settlers back. A few stubborn men had stayed behind to build Fort Douglas and start some crops. On November 3 of 1814, another group of colonists arrived with a new governor, Robert Semple. A second colony had been planted. Below, a map of the Red River Settlement as it was in 1818. Right click on the image to open it in a new tab. Interestingly, I have found myself at a point where the lives of 4 different men intersect, two of them my ancestors. They would be Sir George Simpson, Governor of the Hudson’s Bay Company, John McLoughlin, (chief factor of Fort Vancouver, Washington), my 4th great-grandfather, John Dugald Cameron and Joseph Beauchamp, blacksmith at Fort Vancouver and later Fort Victoria. Simpson was not born under auspicious circumstances, he was the illegitimate son of George Simpson Sr. and an unknown woman in Lochbroom, Scotland. He was raised by his aunt, Mary Simpson and attended the parish school until he went to London in 1800 around the age of 14. There his uncle Geddes Simpson, who was a partner in a sugar brokerage firm, gave him work. When the company merged with Wedderburn and Company in 1812, Simpson met a man who would greatly influence his future. Andrew Wedderburn was brother-in-law to Lord Selkirk who established the Red River colony in Manitoba, Canada. In the early 1800’s, the Hudson’s Bay Company (HBC) was in a bitter struggle for the fur trade with the North West Company (NWC), the original company based in Montreal. Any means, fair or foul were used to gain or block access to furs; price manipulation, selling liquor to the natives, even stealing the other’s furs and trade goods. When the officer in charge of the Athabasca country was about to be charged with murder and the governor in chief in danger of arrest, the young Simpson’s brother-in-law, then known as Andrew Colville, ushered him into an appointment as locum governor-in-chief. When the NWC offered to buy the HBC out, the company took it as a sign of weakness and made a bid to merge the two companies. The “amalgamation” took place in March 1821. Once appointed, Simpson travelled tirelessly across the country, a whirlwind of closures and dismissals following him. The speed he moved at is aptly described in the book “Adventurers”. Simpson was friendly enough but would not tolerate insubordination. No advancement was given to those who did not obey. Still, the officers in the company seldom experienced any economic downturns. That was reserved for the lower ranks. In 1821, he ordered John Lee Lewes and John Dugald Cameron to inspect the old NWC posts west of the Rocky Mountains. They reported back that profit would increase if personnel was reduced. The only benefit in keeping the Columbia River area open was to provide a buffer zone between the Americans and the rich fur area to the North. Simpson left York Factory for Fort George in Astoria out flanking John McLoughlin, chief factor of Fort Vancouver (Washington), who had left 20 days previous. The two met in Fort George and together formulated plans to counter the Russian American trade. One of the counter measures was the trapping expedition that we previously found Jean Baptiste Beauchamp on with Peter Skene Ogden. The other plan was to open Fort Langley on the Fraser River. Fort Langley however, was not a good place to ship furs to by water. The flow of the river was just too erratic, furs would have to be traded overland. After postponing a trip to London for years, Simpson decided he would return to see his uncle. While he was there he decided to marry Geddes daughter, Frances, in spite of the fact that he was 38 years her senior. Unsurprisingly, Frances found life in Canada next to intolerable and though she had 5 children with Simpson she was very frail. When they returned to England for a visit, she stayed behind for 5 years until finally returning in 1838. By that time he had established a residence in Lachine, Quebec. The violent competition between the HBC and the NWC did not abate in spite of proclamations and warnings from London. In May of 1820, Simpson decided to deliver the Governors proclamation personally to the NWC at Fort William himself instead of the agents in Montreal. The chief factor there was John McLoughlin, later to become known as “the father of Oregon” and this would be their first meeting. McLoughlin was born in 1784 at Riviere du Loup, Quebec. His father was a farmer and his mother the sister of Dr. Simon Fraser. John started an apprenticeship under his uncle at the age of 14 and by the time he was 19 he was granted a license to practise. Instead, he decided in 1803, to sign on with the NWC for five years as a physician and apprentice clerk. You can see the transcript of his contract with McTavish, Frobisher and Company here. Later that year, we see one of my distant cousins, Michel Beauchamp, contracted to travel to the same place, Kaministiquia (now Thunder Bay, Ontario). John McLoughlin was a man of ” formidable appearance” and though he did practice medicine at the Fort , he turned out to be a very shrewd trader and bargainer. To that end he rose from £200 a term to a partnership in 1814. In 1816, he traveled to the Red River settlement just after the colony was caught in the Seven Oaks Massacre. McLoughlin was arrested (being with the NWC) and charged as being a part of the attack on the colony. Once he was cleared of charges, he realized that the future looked bleak for the NWC and encouraged a merger between the two rivals. At this point, George Simpson arrived at Fort William with the proclamation. As was his way, McLoughlin endeavored to keep the peace, much to the chagrin of his men. This along with his natural abilities brought him the position of Chief Factor at Rainy Lake . Later he was sent to Fort George in Astoria and was replaced by Dugald Cameron. Soon he became the only chief factor in the Columbia District. The area had been largely unproductive by Simpson’s standards. Personnel was slashed and home grown produce was to replace costly provisions. The war of 1812 had left the northern boundary undecided which meant that Fort George might very well end up inside American territory. Fort Vancouver in Washington was soon built and Simpson then ordered the Columbia area hunted dry. For the next 20 years McLoughlin would become in effect, the superintendent of the entire Columbia River district and controlled the reorganization of the Snake River expeditions, the freemen and Iroqouis were now minor in number and HBC servants used. When Simpson decided to close Forts Taku and McLoughlin in 1843, we see the arrival of Joseph Ovide Beauchamp in Fort Vancouver. He is found listed in Bruce Watson’s book Lives Lived West of the Divide. I have a great great grandfather named Joseph Beauchamp who lived during that time but he died in Quebec. He had a son Joseph my great grandfather. I suspect that this Joseph was again a removed cousin. By all accounts and especially those of Roderick Finlayson who kept the Fort Victoria Journals, Joseph was a handful. His native wife, Marguerite died in 1847 after the birth of a daughter, Caroline, in Fort Vancouver. The following year he transferred to Fort Victoria where he promptly lost one of his fingers which continued to pain him for some time. He remarried in 1848 to an unknown woman and was noted as being sick and insolent most of the time. Then in 1850, he lost his daughter Caroline. He died at Fort Victoria in 1887. His HBC records have him listed as being in Oregon in 1853-4, his position listed as “sundries”. That piques my interest. I would conjecture that Joseph drank a bit. The entire Fort was dependent on him to make and repair the tools needed to keep things running and he is mentioned very frequently throughout Finlayson’s journals. Among the many differences between John McLoughlin and George Simpson, the final rivet was the death of John McLoughlin Jr. at Fort Stikine, Alaska in April of 1842. Fort Stikine had a singular reputation for violence. John had been left in charge of the Fort when he was murdered by Urbain Héroux during a confrontation. Charges of self defense were never brought to trial because the incident took place in Russian territory. Simpson did not proceed on the matter but instead wrote a very terse letter to the father informing him of the matter, using the boy’s reputation as a precedent. McLoughlin wrote letter after letter to London claiming the injustice of the situation and his son’s name was eventually cleared. However, they were not about to let the indispensable Simpson go. It was decided that the lowering profits and McLoughlin’s charity towards the new settlers in the Willamette were sufficient reason to retire him. He died September 3, 1857 in Oregon City. John S. Galbraith, “SIMPSON, Sir GEORGE,” in Dictionary of Canadian Biography, vol. 8, University of Toronto/Université Laval, 2003–, accessed March 8, 2018, http://www.biographi.ca/en/bio/simpson_george_8E.html. W. Kaye Lamb, “McLOUGHLIN, JOHN,” in Dictionary of Canadian Biography, vol. 8, University of Toronto/Université Laval, 2003–, accessed March 8, 2018, http://www.biographi.ca/en/bio/mcloughlin_john_8E.html. Sylvia Van Kirk, “CAMERON, JOHN DUGALD,” in Dictionary of Canadian Biography, vol. 8, University of Toronto/Université Laval, 2003–, accessed March 8, 2018, http://www.biographi.ca/en/bio/cameron_john_dugald_8E.html. Watson, Bruce McIntyre. Lives Lived West of the Divide. Kelowna: Centre for Social, Spatial, and Economic Justice, University of British Columbia, 2010. In my previous post, “A Free Man”, I mentioned that 23 men had left Ogden’s venture for the American Company. As it happens, 12 men had left Ross’s expedition of 1824 and commenced trapping with the American’s. Later they joined up with the famed , Jedediah Smith . Smith and his party accompanied Ogden out on his first Snake Country expedition to Flathead Post. Ogden suspected him of trying to gain information for his American employer, William Ashley. So, our ancestor Baptiste Beauchamp who was a trapper for the party, would have known Smith or at least have been in contact with him. At the end of the War of 1812, the British (including Canada) and the Americans were to jointly share occupation of the Columbia River region for a period of 10 years while the northern border was settled. Ogden, who had accidentally traveled south of the 42nd parallel found his tent invaded by Johnson Gardner, leader of an American trapping party, asking him if he knew what country he was in. Ogden insisted it was Oregon territory to which Gardener told him the area had been ceded to the United States. Neither was right and at the time, there were no territorial maps of the area. Below a map of the Oregon Country/Columbia District during this period and the Forts. Then a heated discussion of HBC policy ensued. Simpson’s policy was to overprice the supplies and equipment which each man went into debt for. Then, when the debt was being paid, he undervalued the furs given in payment. 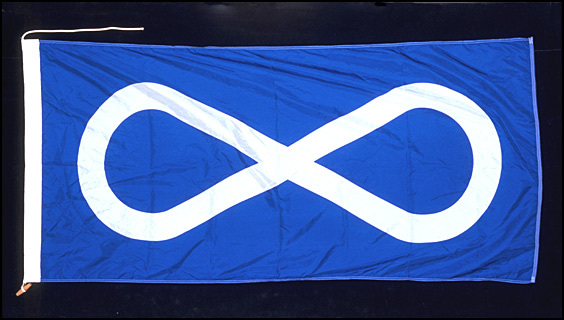 The Freemen, many of them Métis, like the Americans, were quick to “fly the flag”. They needed little provocation to fight and felt little allegiance to anyone . Twelve of the Freemen took their horses and furs and left. I did not see Baptiste on the list of defecting men in William Kittsons journals. Kittson was Ogden’s second in command and kept a more particular journal than Ogden. During the expedition of 1826, the men began to show signs of food poisoning though the form it took did not make it readily apparent. Symptoms began with severe headaches and pain in their “loins” and extremities. This they thought was from the beaver meat they ate. Ogden not being ill himself decided to eat some. He did not taste any difference in the beaver meat from that area and gloated that it didn’t have any effect on him. Five days later, he was crawling on the ground. It turns out that the beavers were gnawing on hemlock root and that passed down to the meat. Most of the men survived. The cure? A mixture of pepper and gun powder in water as an emetic! Baptiste Beauchamp is also mentioned by Alexander Henry who travelled with David Thompson, as having been “Thompson’s man” . If you are interested in Thompson’s expedition to the Columbia River you can follow this link.